Ali and her mother were visiting us at home one afternoon. Being a curious 10-year old in the boring com- pany of adults, Ali wandered out into our backyard to explore a somewhat over- grown row of pineapple guava bushes along the rear of our yard. “Ali, get out of there! There are buggies in there! 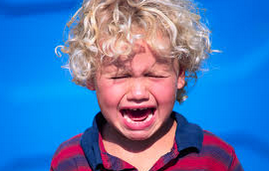 !” her mom anxiously warned from her safe place at our kitchen table. I wasn’t aware of anything life-threatening lurking in those bushes, nor of anything that could sting, pinch, bite, eat or otherwise threaten poor Ali. I thought only of the many hours I had spent as a child exploring remote, over- grown parts of my own neighborhood, or wandering alone in the forest at my uncle’s farm in northwestern Pennsyl-vania, nurturing my current interest in nature and wildlife, and I felt sorry for Ali who was having her curiosity terminated by someone else’s well-intentioned but misplaced fear of “buggies”. Good Bugs & Bad Bugs In the world of nature, an insect is neither good nor bad. Each one has its essential role in maintaining a balanced, healthy ecosystem. But this article isn’t about which bugs are good or bad — that depends on how they relate to our life styles, comfort, childhood conditioning and emotional behavior (many people living in California are deathly afraid of the brown recluse spider which, however, hasn’t established itself any closer to California than Texas). Nor is it about the importance of insects as pollinators of our food crops, nor about the enormous nutritional value of insects (think … grasshopper scampi, maybe? Yum!) It is about how insects are related to the native plants that we are trying to promote in our environment, and to ecosystems in general. For an excellent treatment of this topic, I encourage you to consult Douglas W. Tallamy’s book, Bringing Nature Home: How You Can Sustain Wildlife with Native Plants. In common parlance, any creature that flies or crawls around on more than two legs is a bug. 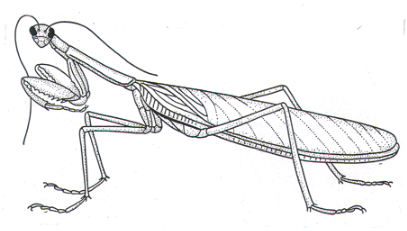 But from now on, we shall use the word “insects” instead of “bugs”, in order to satisfy us purists for whom a true “bug” is a member of the zoological order Hemiptera, which is an order of insects that have mouthparts adapted to piercing and sucking, two pairs of wings, and a specific form of development from larva to adult. This means that, technically speaking, flies, beetles and spiders are not true bugs, but they are insects (members of the broader cate- gory, the phylum Arthropoda). But they are certainly what Ali’s mom had in mind when she warned Ali about those “buggies”! Insects – The Energy Link between Plants and Us Plants are the only organisms capable of capturing the sun’s energy and turning it, thru photosynthesis, into food for the rest of us. Animals that don’t derive their energy by eating plants directly obtain it from eating other animals that eat the plants. 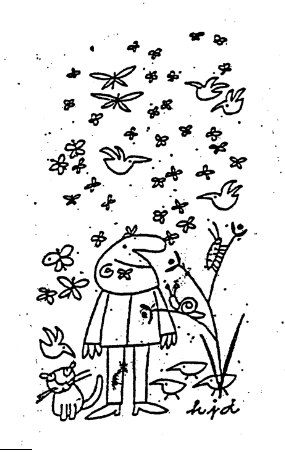 At the beginning of this energy chain are insects that eat plants. According to Tallamy, 37 percent of all animals are insect herbivores. 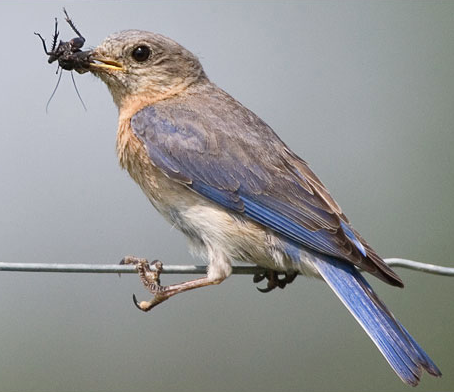 And 96 percent of the terrestrial birds in North America rely on insects and other arthropods for their food. That’s almost all of them! The ecologist E. O. Wilson has called insects “the little things that run the world”. 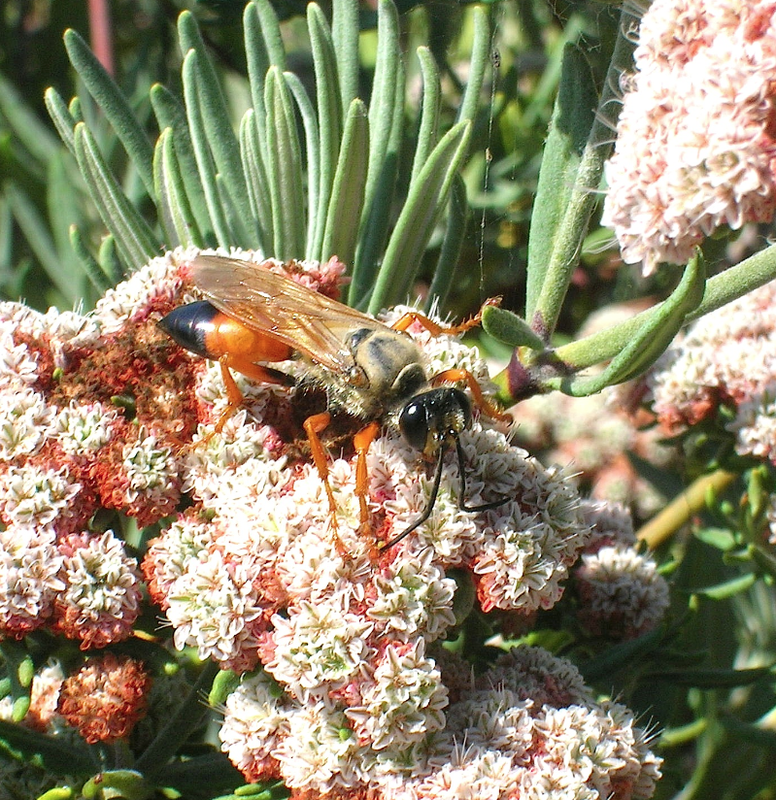 Insects and Native Plants California native plants are those which evolved in the California environment before plants from other parts of the world were introduced and began to compete with the natives, and in many cases, out-compete them. 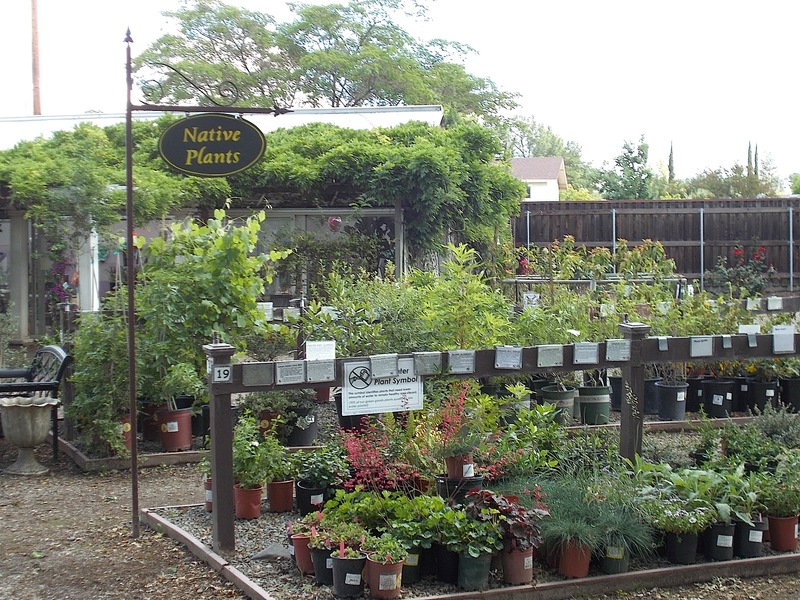 Recently, a friend of the Granada Native Garden toured her neighborhood and reported that 100 percent of her neighbors had non-native plants growing in her their yards, and 100 percent of the plants were non- natives! (Maybe this is somewhat of an exaggeration, but it’s not far off!) And this includes most of the common weeds that give us trouble in our lawns and gardens, introduced from other countries, accidentally or by well-meaning folks. 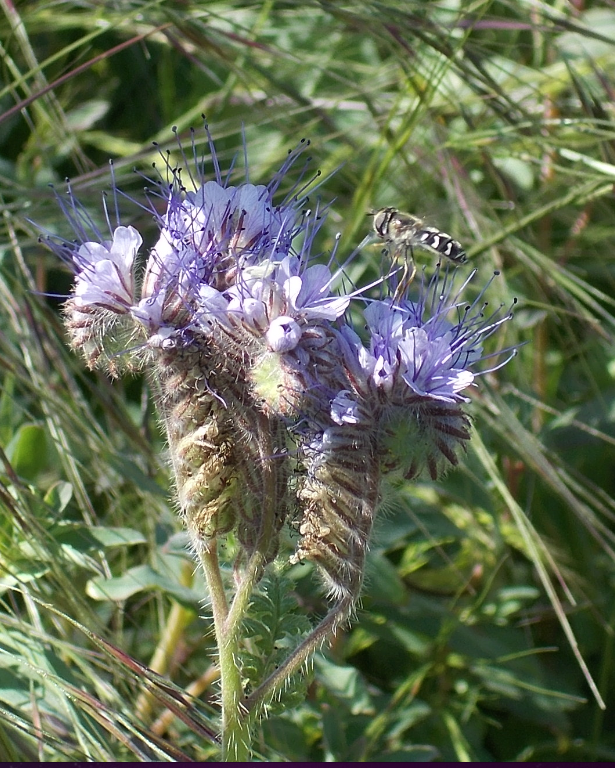 Over the millennia, the insects co-evolved along with the native plants. This means that insects which evolved to eat certain kinds of plants are often unable to eat plants that are unfamiliar to them. This is because they are not biologically programmed to recognize the size, shape, nutrient requirements and leaf chemistry of the non-native, alien plants. As the non-natives out-compete the natives, the usable insect food resources diminish. And as the food they are able to use diminishes, so do the insects themselves and other forms of animal life, including the birds, that depend on insects. Everything in this world is connected with something else! 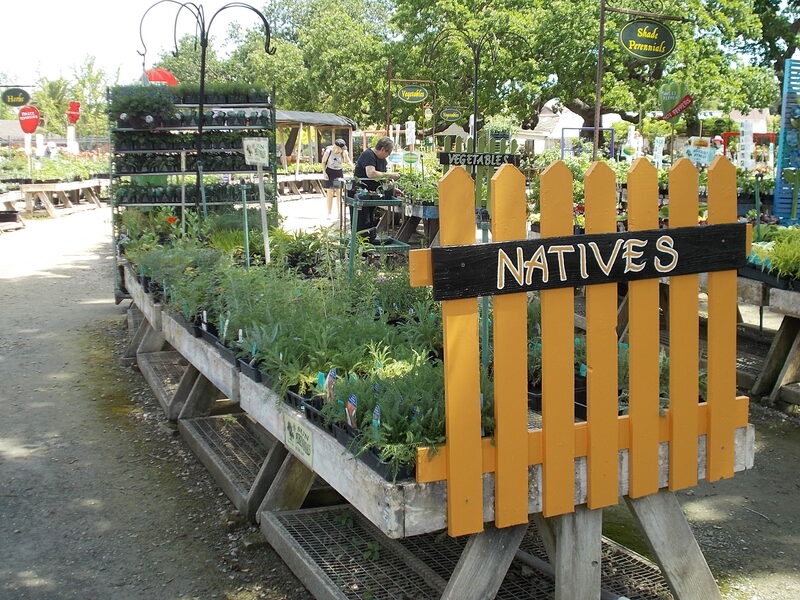 Native Plants vs. Non-Natives The horticultural industry has had many years to develop plants that flourish in the California climate, but have evolved in other parts of the world. This means that, in California, these plants are no longer threatened by the insects that evolved to rely on them for food, as well as by insects and naturally-occurring pathogens that controlled their rampant growth in their original environment. As a result, they grow rampantly in California! Evolutionary adaptation takes time! From the standpoint of everyone who is trying to grow an insect-free garden, this is great news! In addition, there is an vigorous, door-to- door industry dedicated to exterminating any insect “pests” (that is, “buggies”) around our homes, regardless of whether they are beneficial or not. Biodiversity is the number and variety of plants, animals and other organisms that exist in any particular area. It is essential for the survival of the human species by providing food, fuel, shelter, medicines and other resources. Biodiversity is the result of 3,500,000,000 years of evolution. Humans have the ability to change all that in our lifetime! Biodiversity has suffered due to human activity ever since humans first appeared. But most scientists acknowledge that the rate of species loss is at an all-time high. Some speculate that a quarter of all mammal species could be extinct in the next few decades, and that the present rate of extinction, due to human activity, is capable of eliminating most species on Earth within the next century. Traditionally, the common practice is to bulldoze native plants and replace them with a narrow diversity of alien plants that people have become more familiar with. According to Tallamy, not enough natural habitat is left in our country to support the biodiversity that used to exist. As more non-natives are planted and replace the natives, either by competition or by outright removal by humans, the insects that evolved to depend on them are fewer, and the insectivores (mainly birds) become locally extinct and no longer contribute to the function of the ecosystems. Insects at the Granada Native Garden Most photos can be enlarged by clicking on them. But don’t let them frighten you. A bumblebee taking nectar from a tidytips wildflower. Bumblebees are important agricultural pollinators, but their numbers are in decline because of habitat loss and pesticides. Great golden digger wasp on a Santa Cruz Island buckwheat. Big and fearsome, but not dangerous, unless you are a grasshopper or cricket. Not aggressive but curious about persons and pets lingering near their burrows. Stings are quite rare. Hoverfly on a tansy-leafed phacelia. Aphid-eating hoverflies are being recognized as important natural enemies of pests, and potential agents for use in biological control. 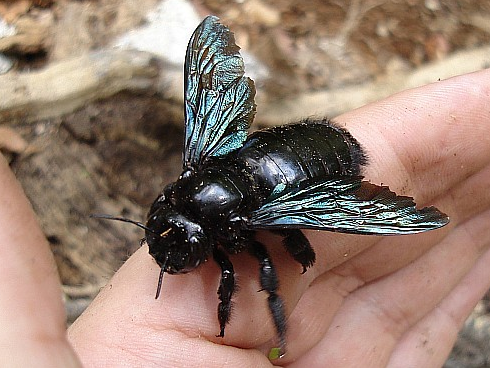 A friendly carpenter bee! 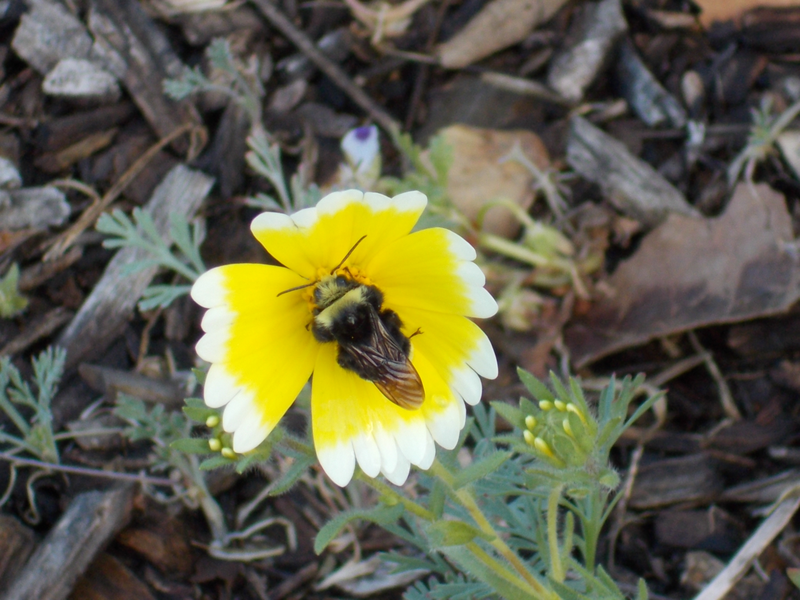 Carpenter bees nest in holes or crevasses in wood, and are important pollinators, especially of flowers that other bees and insects may have trouble getting into because of the flower’s shape or structure. The long black and orange insect on the milkweed is a ladybug larva, hunting for its breakfast of yellow milkweed aphids. 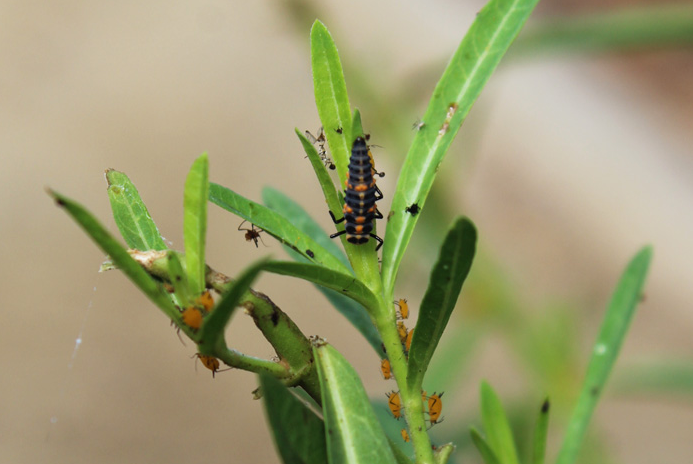 Both the adult ladybugs and their larvae are voracious consumers of the aphids that ravage many of our desirable plants. Be Quiet and Eat Your Insects! If the knowledge of the nutritional value of insects has turned you on to adding insects to your dinner table, you might want to connect with Tiny Farms, a project operating out of San Leandro. Or try the crispy crickets and toasted moth larvae available at the Oakland restaurant Agave Uptown!